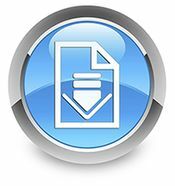 KeyMed Partners Document Downloads - KeyMed Partners, Inc.
KeyMed Partners has created this section of our website to provide our clients with documents that may be helpful. Simply click on the documents listed below to download the file to your computer. The Office of the Inspector General (OIG), the agency that oversees the Center for Medicare and Medicaid Services, recently released a series of compliance training videos related to healthcare specific issues. These free online videos and audio podcasts cover major healthcare fraud and abuse laws, the basics of healthcare compliance programs, and what to do when a compliance issue arises.